You probably have an overworked IT team, you don't have the specialism in feed handling or dealing with streamed data and applets and iFrames, you want nice and easy off the shelf solutions cheaper than you can get by doing it all yourself, then let us take that strain, time and cost away from you. MoneyAM Corporate Solutions provide stock market data, fund data, investment games, news and bespoke content to a wide range of Brokers, Asset Managers and Media companies. We design, build and host web, tablet or mobile solutions cost effectively! The hard part of successful digital marketing isn’t drawing an initial amount of attention to your website, but to keep people coming back time after time, to do this you need a regular stream of relevant content to go across all media including social. 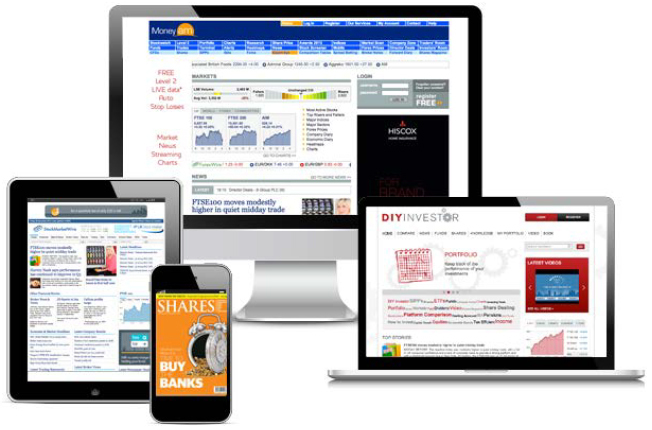 Our respected and award winning Shares magazine and Stock Market Wire team of journalists specialise in creating bespoke and regular content for web, mobile and email through daily, weekly or monthly articles/emails as well as financial guides..
MoneyAM have developed, launched and run investment games for a range of companies across shares, funds, ETFs, warrants and other financial instruments. The companies have all generated large numbers of potential new clients through the creative use of our competitions which we run on web, social media (facebook) and mobile. 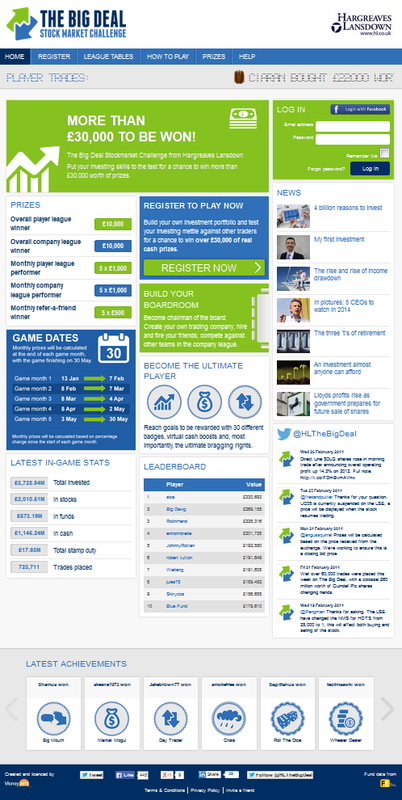 Our financial games have been built and licensed by us to The Daily Telegraph (in conjunction with J.P. Morgan Asset Management), Société Générale, Skandia, Allianz and Hargreaves Lansdown.